The last thing any parent wants to deal with in the middle of winter is cold and flu season. Getting knocked down by a virus throws a big wrench in any plans. Getting sick slows down momentum and goals making it difficult to uphold New Year’s resolutions or even a clean house, for that matter. As the dentist Yarmouth residents see for their family dentistry and oral health needs, we thought this would be a great time to talk about ways to prevent spreading germs while protecting your health and others. The flu is contagious and spreads through coughs, saliva, and sneezes. Flu and cold symptoms take a few days to appear once a person has contracted the virus. You can spread a virus even before you know you have one. There are different types of flu strains. 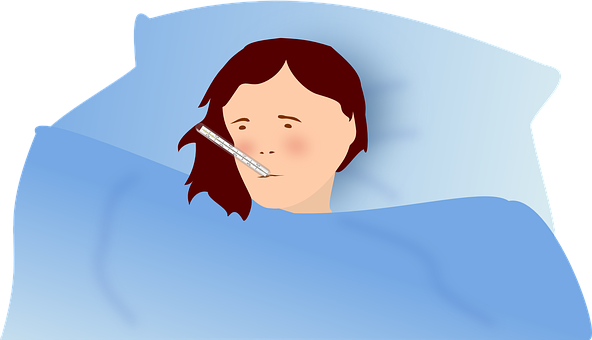 The flu is most common during the colder months of the year. Typically, the flu season runs between October and March. Viruses can live on hard surfaces for nearly 2 days. They can survive on clothing for 12 hours. When caring for yourself or a family member who has the flu, wash your hands often. Keep surfaces and areas that are shared with others clean. Wipe down and disinfect door handles, cabinets, and remote controls. Keep phones, tablets, and computers clean and only use with your devices with clean hands. Be aware when doing laundry and wash your hands after handling clothes carrying the virus. We are susceptible to germs through our nose, mouth, and eyes. As our Yarmouth dentist recommends, brush and floss your teeth daily. This healthy habit should never change – especially when you’re sick. Bacteria loves to grow in our mouths and flossing and brushing keeps bacteria from infecting us and also from tooth decay. A clean mouth can help give our oral health needs the protection necessary to fight off a virus. There are varying opinions on if you should replace your toothbrush after you have been sick with the flu or a cold. On one hand, you’re unlikely to become infected again with the exact same virus. This is because your immune system will have figured out a way to fight off the illness. However, our Yarmouth dentist does recommend replacing your toothbrush 3-4 times each year. If you haven’t done this in awhile, now is a good time. Changing your toothbrush prevents others from coming into contact with your germs. If you store your toothbrush next to someone else’s, your germs can end up in their mouth and vice versa. Store toothbrushes away from each other; and always wash your hands before and after brushing and flossing. Keeping healthy during the flu season calls for a lot of hand washing and smart choices. Be cognizant of your oral health needs and make sure to eat a well-balanced diet with the minerals and vitamins your bones, gums, teeth, and body need to stay in good health. Learn more about our how you can protect your smile and your health on our Facebook page and call if you ever have any oral health questions.